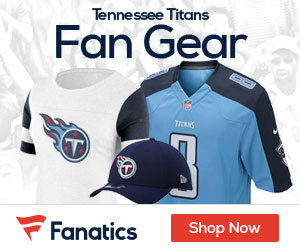 The Tennessee Titans (10-0) hosted the New York Jets (7-3) this week. These teams are two or the top three teams in the AFC. The game is one of the biggest of the week as the Jets have the talent to end the Titans undefeated streak. The Titans opened the game by going 3 and out. The Jets took over and made their first drive look easy against the Titans defense; adding 7 points to the scoreboard. The Titans had to punt once again on their next drive as they could not move the chains again. The Titans did not score on their first 5 offensive drives. On 4 out of 5 of those drives, Kerry Collins threw incomplete passes on third down. The Jets scored another field goal making the score 10-0. The half ended with the Titans scoring a field goal cutting the score to a Jets 7 point lead. The Titans fumbled on their opening drive of the half. The Jets capitalized by adding another 3 points to their lead, once again leading by 10 points. The Titans then came back and cut the Jets lead back to 7 by scoring a field goal of their own. Jets? sensation Leon Washington ran for 61 yards for a Jets TD on their next drive. The Titans answered with a TD of their own. Kerry Collins? had only two impressive throws during this game and they were both on this drive. His two back to back throws went for 60 yards together. With the score 27-13, the Titans only chance of coming back was to stop the Jets offense quickly. However, the defense failed once again as they could not stop the Jets as they scored another TD. The game ended 34-13. The Titans lose their undefeated record and move to 10-1 while the Jets move to 8-3. The Titans could not run the ball, throw the ball, or defend. Collins failed to lead his offense and missed many third down conversions. The Jets time of possession was 40:30 compared to the Titans 19:30. Tennessee has 8 penalties that cost them 60 yards. Combined with last weeks game the Titans are 5 of 23 on third down conversions. The Titans were not in sync on all levels of play and they have some areas to address before they play the Lions on Thanksgiving Day.